Health Canada requires that manufacturers list all of the ingredients that can be found in these products. 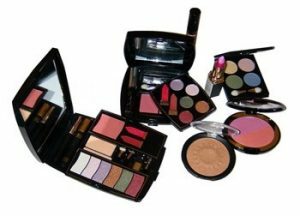 Lead, arsenic, cadmium, mercury, antimony and chromium are heavy metal ingredients prohibited in cosmetics sold in Canada. An additional 500 ingredients are included on Health Canada’s Cosmetic Ingredients Hot List. In addition, while known carcinogens are included on the Hot List, many toxic ingredients are not. For example, dibutyl phthalates (DBP), a common ingredient in nail polishes and fragrances didn’t make the Health Canada List. DBP has been linked to genital defects in male babies due to its ability to mimic estrogen in the body. “Like most parents, I try to keep my family safe,” said Annie Leonard, “but now I find that my bathroom is a minefield of toxins.” Leonard’s recently released online video, The Story of Cosmetics, questions the safety of the products that we routinely use every day. In total there are 82,000 ingredients currently being used in personal care products. One in eight of these contain industrial chemicals. To date, only 13 percent of ingredients have been tested by the Cosmetic Ingredient Review (CIR), the group of scientific experts responsible for assessing the safety of cosmetic ingredients. This puts the onus on consumers to figure out what’s safe and what isn’t. The Environmental Working Group (EWG) estimates that the average adult is exposed to 126 of these ingredients through daily personal grooming. The average woman uses twelve personal care products a day. Men average six products daily. 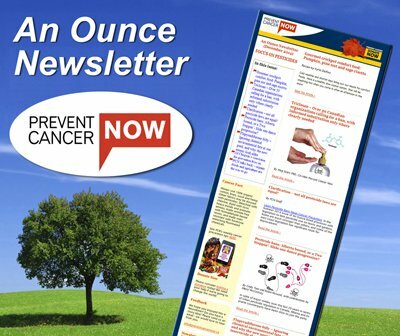 Download the Guide to Less Toxic Products. The Guide remains the most extensive source of information on this subject in Canada, and averages roughly 600 visitors per day. The Guide has just revised its personal care section with support from the Saunders Matthey Cancer Prevention Foundation. Use fewer products. This helps reduce the potential health risk associated with multiple exposures. Read labels. Marketing claims on personal care products are not defined under the law. 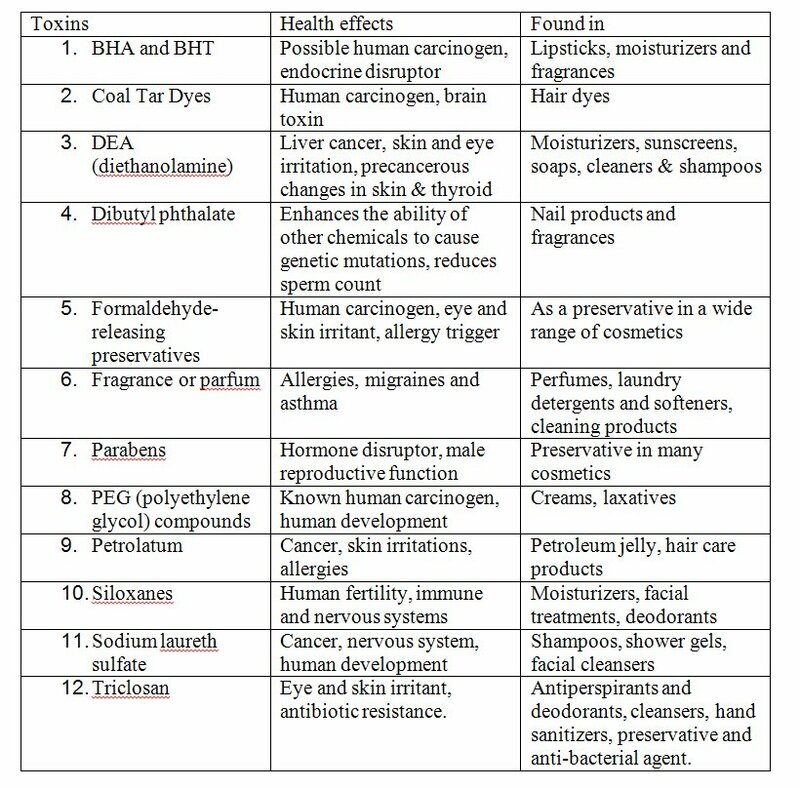 Products may claim to be herbal, organic, fragrance-free or natural. Check the list of ingredients to ensure that these claims are true. Use milder soaps. This will help to preserve natural skin oils and reduce the need for moisturizers. Minimize your use of dark hair dyes. Coal tar, a primary ingredient in many hair dyes, has been linked to cancer. Avoid the use of powder. A number of ingredients used in powders have been linked to cancer and lung problems. Choose products that are fragrance-free. Don’t believe product labels. Read the list of ingredients to ensure that products do not contain chemicals used to mask natural odors. Reduce your use of nail polish. Paint nails in a well-ventilated room and don’t use polish if you’re pregnant. Some of the ingredients contained in nail polish are routinely linked to birth defects. The Environmental Working Group’s Skin Deep Cosmetics Database provides safety information on 25,000 products. The David Suzuki Foundation’s What’s Inside? That Counts! Health Canada’s information on cosmetics: here and here. There is a growing body of scientific evidence that links pollutants in our environment to increased incidents of cancer. “We know that the cancer epidemic is being fueled by carcinogens in our air, water and food,” said Liz Armstrong, co-author of Cancer: 101 Solutions to a Preventable Epidemic. “From the right to know and the duty to inquire follows the obligation to act,” said Steingraber. Carcinogens cause mutations in DNA, which ultimately can lead to cancer. An estimated two-thirds of all cancers that are caused by environmental carcinogens could be eliminated. 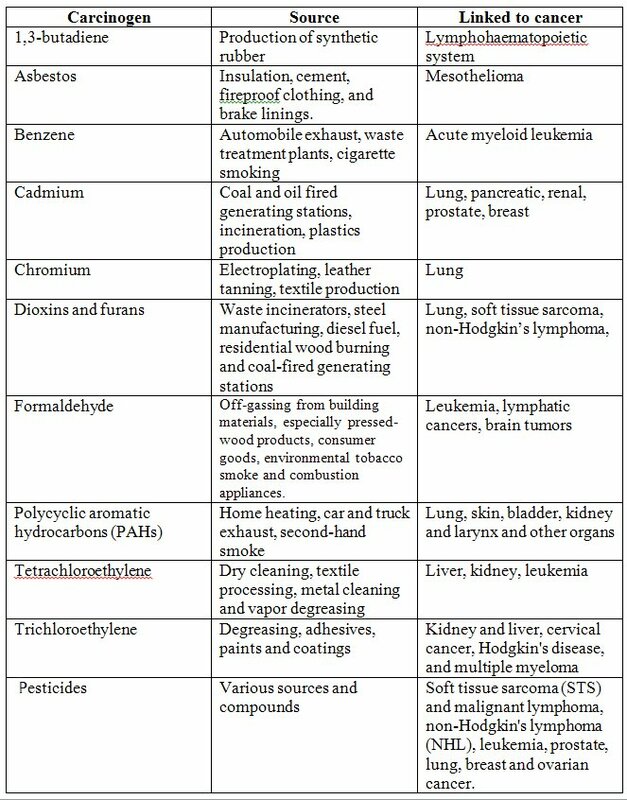 The International Agency for Research on Cancer (IARC), United States Environmental Protection Agency (US EPA) and Health Canada have all classified the following commonly found substances as human carcinogens or probable human carcinogens.